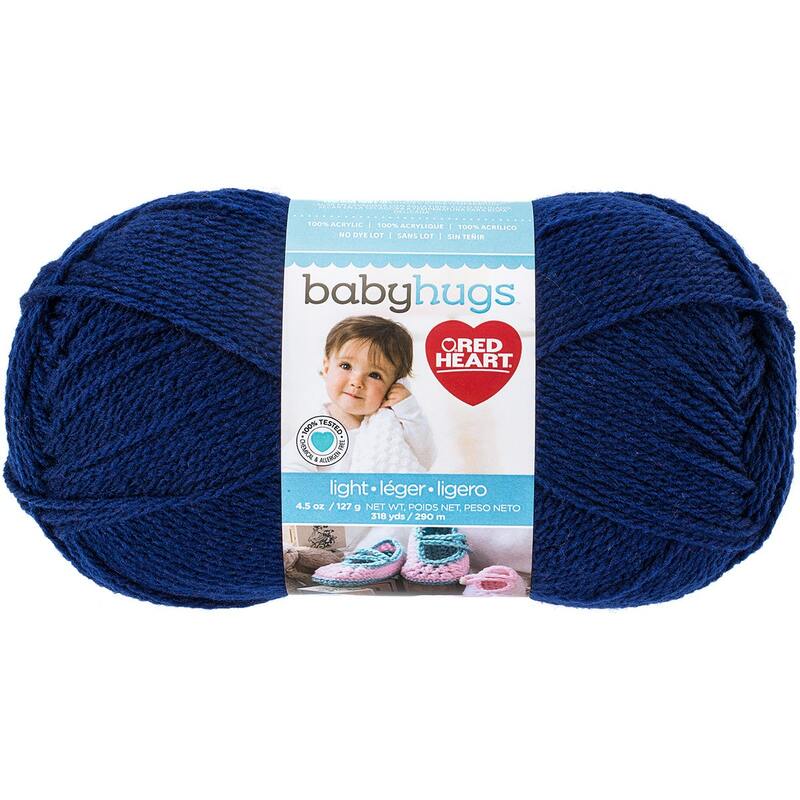 Red Heart-Baby Hugs Light Yarn. An ultra-soft, premium acrylic, Oeko-Tex certified yarn in a DK weight. Perfect for baby, toddler and kids projects. Weight category: 3. Content: 100% Acrylic. Putup: 4.5oz/127g, 318yd/290m. Gauge: 20sx25r = 4in/10cm on size US6/4mm knitting needles. Suggested crochet hook size US H-8/5mm. Dyelotted: we try but are not always able to match dyelots. Care: Machine wash, tumble dry low, do not bleach, do not iron, dry clean with P solvents only. Comes in a variety of colors. Each sold separately. Made in USA.